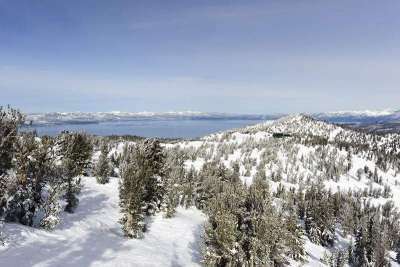 The Heavenly Valley area is one of South Lake Tahoe’s most desirable neighborhoods. The incredible lake and mountain view homes, the world renown Heavenly Ski Resort’s California lodge right in the neighborhood and the close proximity to the Casino’s and South Shore shopping and night life are three of the top reasons that year round residents and second home owners agree: The Heavenly Valley Area provides awesome Lake Tahoe mountain living! The Heavenly Valley neighborhood is within the city limits and at the base of the mountain with gorgeous old growth Jeffery Pines and Sugar Pines that along with the views give the homes a real Mountain feel. The Heavenly Valley neighborhood is home to Tahoe Tyrol, a private community of Tyrolean style homes just a few blocks below the tram at Heavenly, one easy mile to the lake and one mile to the South Shore Casino area. These homes were all built with an Austrian theme and boarder beautiful Forest Service land. In addition Tahoe Tyrol offers an outdoor swimming pool, a Jacuzzi, sauna and club house. Also within the Heavenly Valley neighborhood and literally at the entrance to the Heavenly Ski Resort you will find the “Sitzmark”, a darling 12 unit condominium complex with an outdoor swimming pool and yes, “You can walk out your front door and be a few steps away from a great day of skiing”. The Heavenly Valley neighborhood has easy access to miles and miles of back country trails offering scenic hiking and biking where you can enjoy easy walks or all day hikes for the more adventurous. And don’t miss the gorgeous huge boulder outcroppings where some Heavenly Valley homeowners go to watch our top notch 4th of July fireworks show. When you choose The Heavenly Valley Neighborhood, you choose the best of two worlds, true mountain living that is just five minutes to the lake and incredibly close access to all that the City of South Lake Tahoe has to offer including the Casino night life, great shopping and a variety of great restaurants such as Café Fiore, Nepheles, Scozas, Riva Grill and the Red Hut for breakfast, lunch and an assortment of Soda Fountain ice cream Treats. The Heavenly Valley area has always been one of South Shores most sought after neighborhoods and depending on your preferences may end up being your top choice.